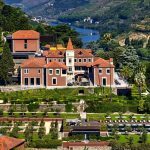 We organize a wide range of fabulous incentive trips in Porto and northern Portugal to showcase the very best that the reason has to offer. As well as some fabulous options for accommodation, we also arrange unusual and compelling activities for our clients and some memorable dining experiences. Check out some of our corporate away days in Porto options. 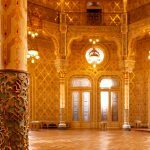 If you need to run meetings in Porto, then we can organize functional locations and all the back-up facilities that you may need, with locations in central Porto and in the outskirts. We have a range of vehicles available, from chauffeur driven luxury cars, through limousines, people carriers and coaches. We also organize transfers by boat, helicopter or private jet. We organize sightseeing tours for our clients from simple walking tours round Porto led by knowledgeable guides, to complete day packages to visit the countryside round Porto, for example going up the river Douro to visit wine lodges. If you would like to visit a concert, football game or other cultural event, then we can sort it out for you and if required give you the VIP treatment. Our sister company, PortugalWorks represents international trade shows in Portugal to find Portuguese exhibitors. Please visit the site for more information.